You may be aware that Saint Patrick's Day is a big deal for the T-shirt industry. 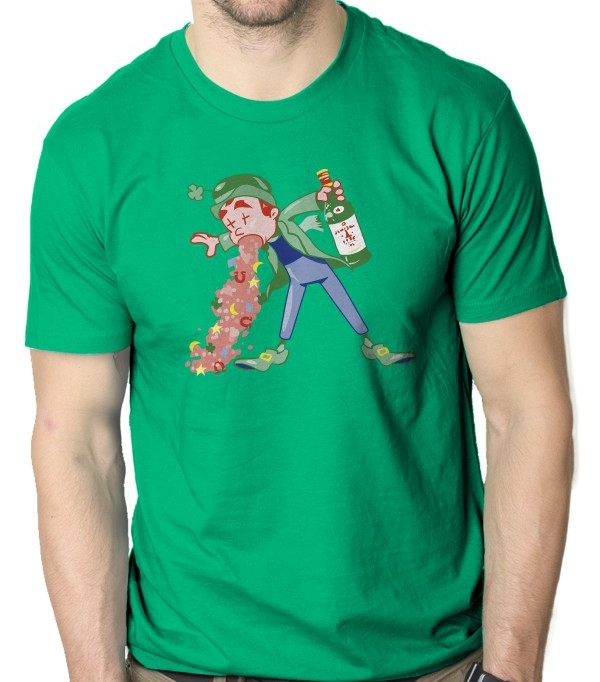 Designs such as what can be found at StPatty help make Irish and non-Irish folk laugh and have a good time. And the beauty part is that the designs don't really take a lot of skill to make. If you have an original phrase or concept slap a clover or four-leaf clover on it and call it a damn day, because that is a tee someone somewhere will want to buy. But to really stand out, don't be so generic. Originality does sell, just do not make the designs overly detailed. The reason that the generic clover designs sell so well is because they are simple and can be identified from far away. Even slogan only tees make it big on St. Paddy's Day such as "Irish These were Bigger", "Irish you were a beer", and the classic "Kiss me I'm Irish". The only real downside to marketing for St. Patrick's Day is that it has a very small window for sales. The period begins February 15th (The day after Valentine's Day) until March 10th (The last day tees should be ordered and expected to be delivered on time for Saint Patrick's Day.) that is less than a month. The only other complaint would the cost for SEM and other keyword based ads. If you are not the t-shirt printer don't bother wasting your money for pay per click ads. St. Patrick's Day Tees Long-term. 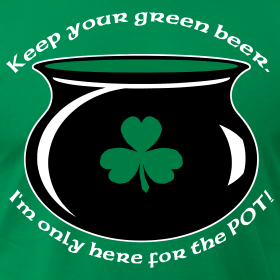 But don't let that discourage you from making St. Patrick's Day tees as this can be very profitable if you do it right and it should pay off, year after year after year.